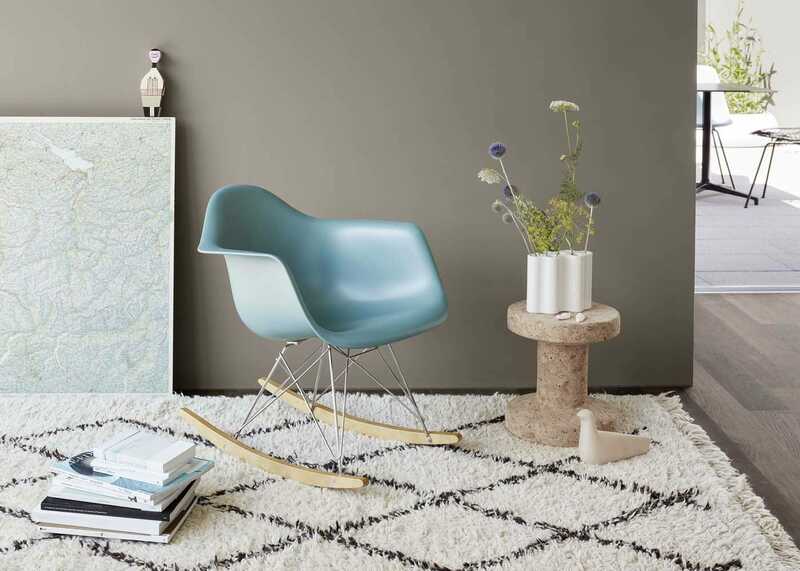 Epitomising the playful, functionality of mid-century American design, the RAR Chair by Charles and Ray Eames feels as fresh today as when it was first introduced over 60 years ago. A design to suit every home, this colourful, plastic moulded rocking chair sits atop an innovative chromed wire base and two arched maple beams that provides its gentle motion. 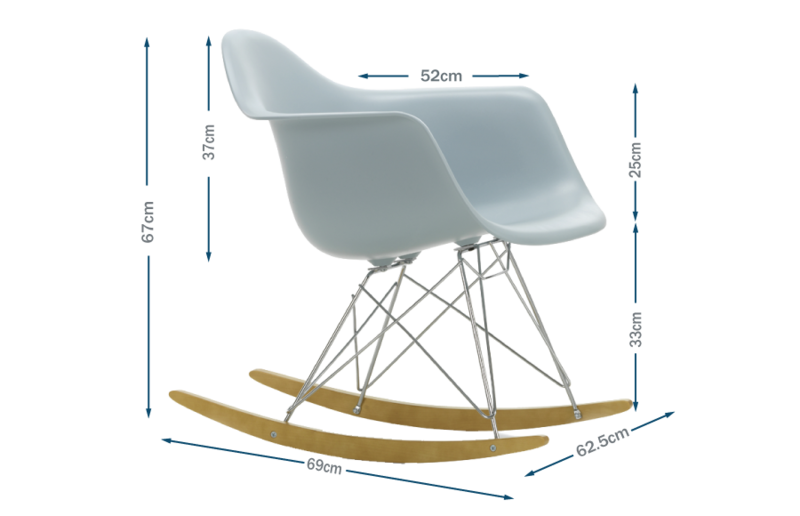 Original design by Charles and Ray Eames for Vitra. Iconic criss-crossed wire base with golden maple runners.